A wonderful and very flavorful apple that originated in the 1830’s with William Gibbons of Lancaster County, Pennsylvania. The original tree grew up near the smokehouse of Mr. Gibbons and thus its name was derived. Besides its excellent eating qualities, Smokehouse is a fine cooking and baking apple. 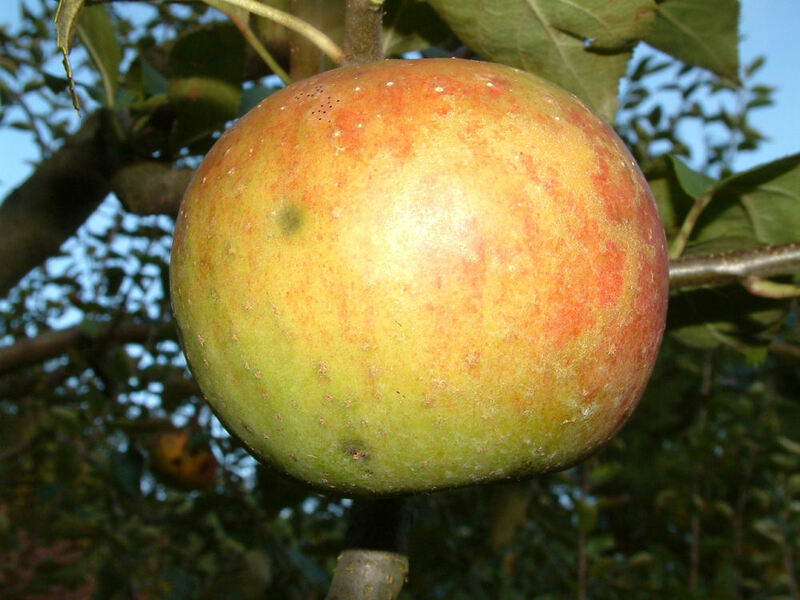 The apple has greenish-yellow skin covered with shades and stripes of red. Flesh is yellowish, crisp and firm with a pleasing spicy flavor. Ripens September or later depending on the locale.